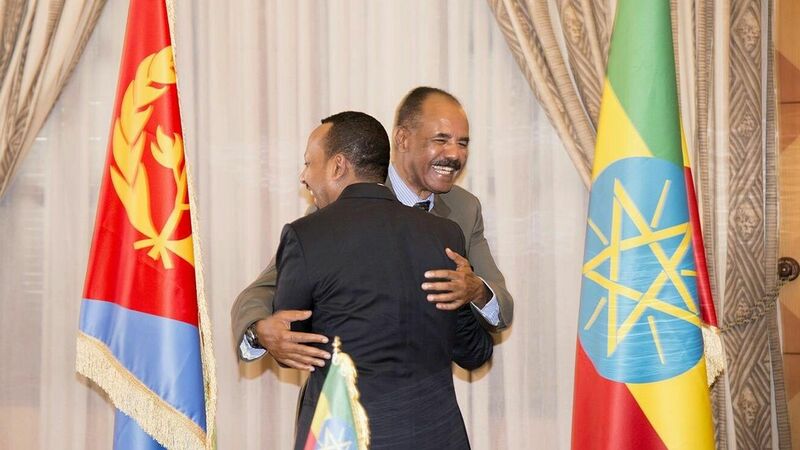 This week Ethiopian Prime Minister, Abiy Ahmed visited neighboring Eritrea, to be greeted by President Isaias Afwerki. The vast crowds that thronged the normally quiet streets of Eritrea’s capital, Asmara, were simply overjoyed. They sang and they danced as Abiy’s car drove past. Few believed they would ever see such an extraordinarily rapid end to two decades of vituperation and hostility between their countries. After talks the president and prime minister signed a declaration, ending 20 years of hostility and restoring diplomatic relations and normal ties between the countries. The first indication that these historic events might be possible came on June 4. Abiy declared that he would accept the outcome of an international commission’s finding over a disputed border between the two countries. 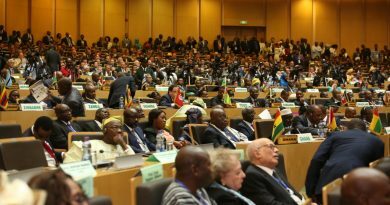 It was the border conflict of 1998-2000, and Ethiopia’s refusal to accept the commission’s ruling, that was behind two decades of armed confrontation. With this out of the way, everything began to fall into place. The two countries are now formally at peace. 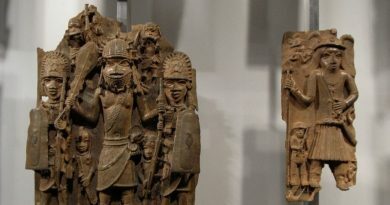 Airlines will connect their capitals once more, Ethiopia will use Eritrea’s ports again, its natural outlet to the sea, and diplomatic relations will be resumed. Perhaps most important of all, the border will be demarcated. This won’t be an easy task. Populations who thought themselves citizens of one country could find themselves in another. This could provoke strong reactions, unless both sides show flexibility and compassion. For Eritrea there are real benefits – not only the revenues from Ethiopian trade through its ports, but also the potential of very substantial potash developments on the Ethiopia-Eritrea border that could be very lucrative. For Ethiopia, there would be the end to Eritrean subversion, with rebel movements deprived of a rear base from which to attack the government in Addis Ababa. In return, there is every chance that Ethiopia will now push for an end to the UN arms embargo against the Eritrean government. This breakthrough didn’t just happen. It has been months in the making. Some of the first moves came quietly from religious groups. In September last year the World Council of Churches sent a team to see what common ground there was on both sides. Donald Yamamoto, Assistant Secretary of State for Africa, and one of America’s most experienced Africa hands, played a major role. Diplomatic sources suggest he held talks in Washington at which both sides were represented. 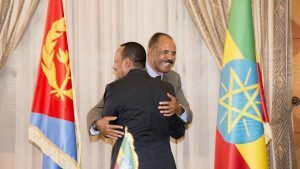 The Eritrean minister of foreign affairs, Osman Saleh, is said to have been present, accompanied by Yemane Gebreab, president Isaias’s long-standing adviser. They are said to have met the former Ethiopian prime minister, Hailemariam Desalegn, laying the groundwork for the deal. Yamamoto visited both Eritrea and Ethiopia in April. Although next to nothing was announced following the visits, they are said to have been important in firming up the dialogue. But achieving reconciliation after so many years took more than American diplomatic muscle. So it was, but one other actor played a part: the UAE. Earlier this month president Isaias visited the Emirates. There are suggestions that large sums of money were offered to help Eritrea develop its economy and infrastructure. It has been an impressive combined effort by the international community, who have for once acted in unison to try to resolve a regional issue that has festered for years. For Isaias these developments also bring some element of risk. Peace would mean no longer having the excuse of a national security threat to postpone the implementation of basic freedoms. If the tens of thousands of conscripts, trapped in indefinite national service are allowed to go home, what jobs await them? When will the country have a working constitution, free elections, an independent media and judiciary? Many political prisoners have been jailed for years without trail. Will they now be released? For Ethiopia, the dividends of peace would be a relaxation of tension along its northern border and an alternative route to the sea. Families on both sides of the border would be reunited and social life and religious ceremonies, many of which go back for centuries, could resume. But the Tigrayan movement – the Tigray People’s Liberation Front (TPLF) – that was dominant force in Ethiopian politics until the election of prime minister Aiby in February, has been side-lined. It was their quarrel with the Eritrean government that led to the 1998–2000 border war. The Eritrean authorities have rejoiced in their demise. “From this day forward, TPLF as a political entity is dead,” declared a semi-official website, describing the movement as a ‘zombie’ whose “soul has been bound in hell”. Such crowing is hardly appropriate if differences are to be resolved. The front is still a significant force in Ethiopia and could attempt to frustrate the peace deal. These are just some of the problems that lie ahead. There is no guarantee that the whole edifice won’t collapse, as the complex details of the relationship are worked out. There are many issues that have to be resolved before relations between the two countries can be returned to normal. 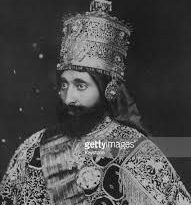 But with goodwill these can be overcome, ushering in a new era of peace and prosperity from which the entire region would benefit. ← Was Football Introduced To Ghana From Jamaica Or Guyana?